Back in 1974, American International Pictures and Amicus Productions put in one last ditch effort to capitalize on the Gothic Horror genre they had so admirably brought to life on the silver screen with Madhouse starring Vincent Price and Peter Cushing. Though I personally adore the film (as many other Price fans do), Madhouse failed to impress at the box office, and AIP subsequently buried the genre. 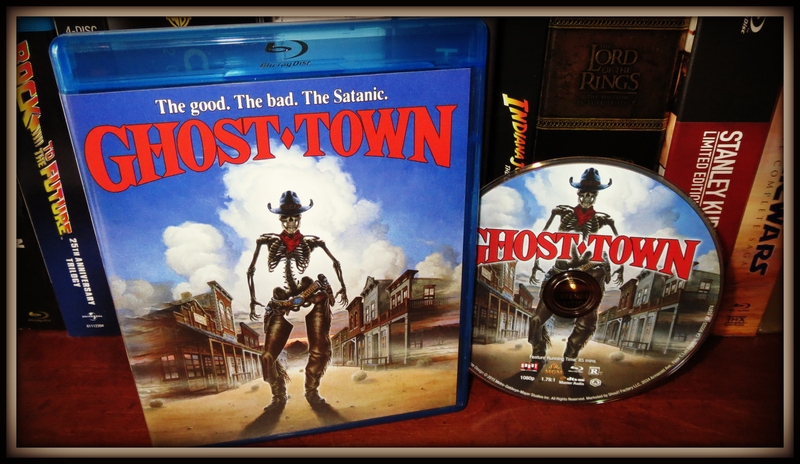 It’s a shame, because the film itself is utterly delightful for Horror fans. 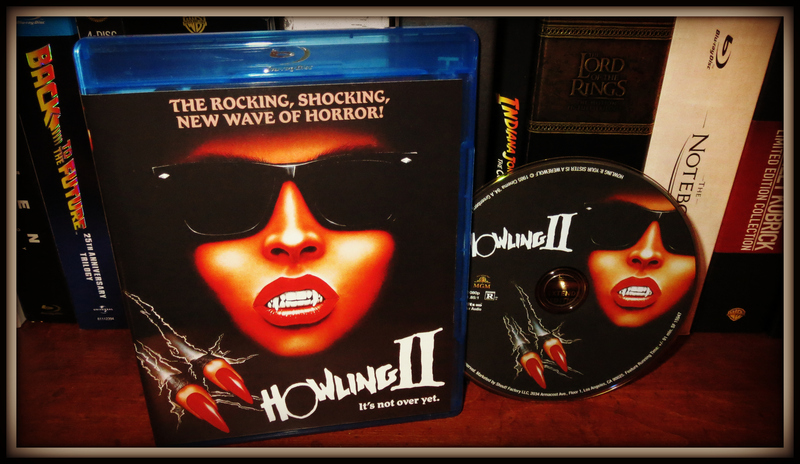 Not only because of the powerful onscreen presence of Lee and Cushing, but with standout sets, makeup, and costume design partnered with a unique macabre story that isn’t afraid to poke a little fun at the horror genre and legendary careers of its stars. In Madhouse, Vincent Price portrays Horror star Paul Toombes, an actor who is celebrating the release of his fifth film in the “Dr. Death” series at his private mansion. Donning a black cape, black fedora, and skeleton-like makeup, his character has terrified audiences on screen for decades. The release party also serves as an engagement announcement for Toombes, who is happy as can be with his beautiful fiancée Ellen at his side. Soon after the couple’s happy news is announced, a sleazy adult film producer informs Paul that Allen used to be in his films. A distraught and angry Paul disappears at the party, while Ellen is murdered by a shadowy figure that looks very similar to “Dr. Death.” The murder goes unsolved, and a heartbroken Paul’s life and career begin to fall apart. Regular readers of the site know of my affection for Mr. Vincent Price, and Madhouse happens to be one of my personal favorites of his. The visual look of Dr. Death himself remains very sinister, and famously made for a legendary cover page for Famous Monsters of Filmland magazine. The movie itself is very suspenseful, with fantastic performances from everyone involved, but especially memorable is the chemistry between Price and Cushing. The story keeps the viewer guessing throughout, with a myriad of possibilities regarding the killer’s identity. Madhouse is a delightful little Horror treat; a self-aware gothic production that continues to entertain over forty years later. 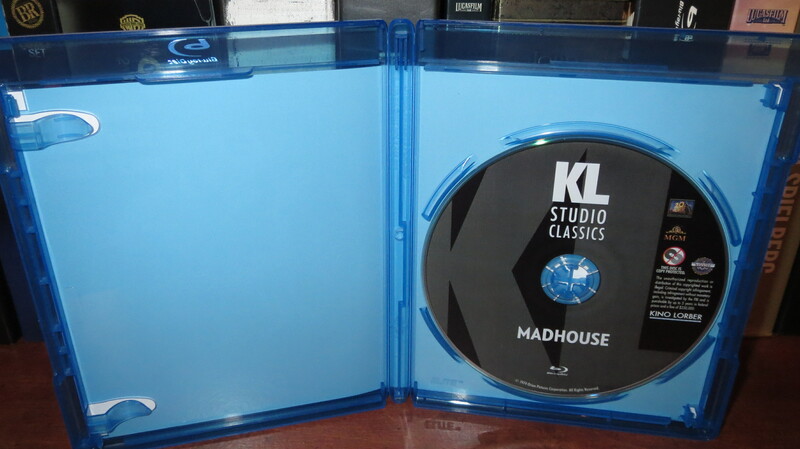 I’m not sure why audiences didn’t flock to see the film back then, but luckily, Madhouse is still fondly remembered enough to garner a solid Blu-Ray release from Kino Lorber. Kino Lorber delivers Madhouse onto Blu-Ray with a fine high definition transfer that sports a period authentic color palette, plenty of crisp detail in facial features and clothing, and a generally clean print. There are occasional speckles, light damage, and noise, but those moments are few and far between. Madhouse looks better than it ever has on home video, and I’m very pleased with the results of Kino’s efforts here. Unfortunately this is the one area of Kino’s Blu-Ray release where fans may be disappointed. There is an audio-sync issue that persists throughout the entirety of the film. Lips move before the dialogue audio kicks in, sometimes after, with only a few select scenes that seem to be correctly synced. Video issues can sometimes be easy to overlook, but unfortunately audio sync problems are so noticeable and distracting that fans may feel a little let down. Kino Lorber is aware of the issue and is currently investigating the error. At the time this review is being written, we’re waiting to hear back regarding the results of their investigation (i.e. possible replacement discs). Besides this issue, the audio itself sounds great, with dialogue front and center and plenty of spooky sound effects and score components sounding pristine in HD. Audio Commentary – Film Historian David Del Valle discusses the troubled production of the film, Vincent Price’s performance, and some interesting behind-the-scenes tidbits that viewers will surely enjoy. The Revenge of Dr. Death: Making Madhouse– This nearly 11 minute featurette on the making of the film is short but exceptionally entertaining for fans of the film (and genre)! Beginning with American International Pictures and Amicus’ troubled pre-production process (where the initial adapted screenplay was flat-out refused by Vincent Price) to various participants’ thoughts on the last “hurrah” of the Gothic genre that Hammer Films and AIP helped to create, there is plenty for aficionados to enjoy here. Madhouse Trailer- The original theatrical trailer for the film runs just under two minutes and is utterly delightful for fans of the film. From the scrolling warning that opens the trailer to the cheesy voice-over, this is fantastic stuff! Tales of Terror Trailer- The original theatrical trailer for another recent Kino Lorber release, Tales of Terror, is also quite a bit of fun. The trailer unfolds in typical AIP fashion with some of the standout scenes from the film complete with voiceover narration and exaggerated graphics work. This Blu-Ray edition from Kino Lorber (Studio Classics line) features the utterly amazing original theatrical poster design for the film on its cover. From Dr. Death’s face paint to the bloody font design and gothic atmosphere, it’s everything a classic Horror fan could ask for. 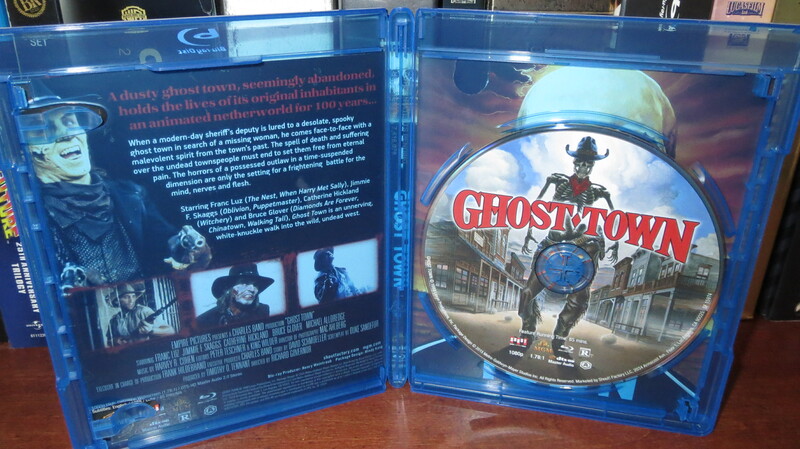 On the reverse of the case you’ll find a plot synopsis, a listing of special features, technical specifications, and select production stills from the film. 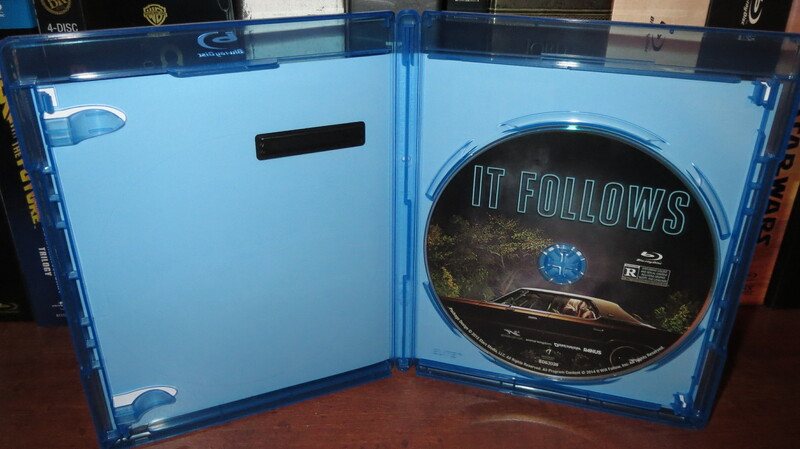 Inside the case is the Blu-Ray disc which also features the stylish cover design. 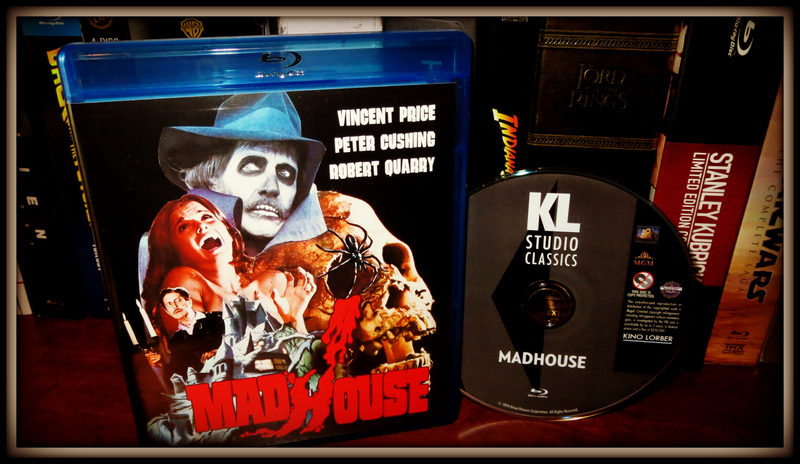 Madhouse remains one of my personal favorite Vincent Price films. The chemistry between Price and Cushing is fantastic and the story keeps the viewer guessing throughout; with a myriad of possibilities regarding the killer’s identity. Madhouse is a delightful little Horror treat; a self-aware gothic production that continues to entertain over forty years later. The Blu-Ray edition from Kino Lorber features a fine transfer that remains true to the film source and a nice selection of bonus material. The Revenge of Dr. Death featurette, though short, is fascinating for fans of the film and genre. 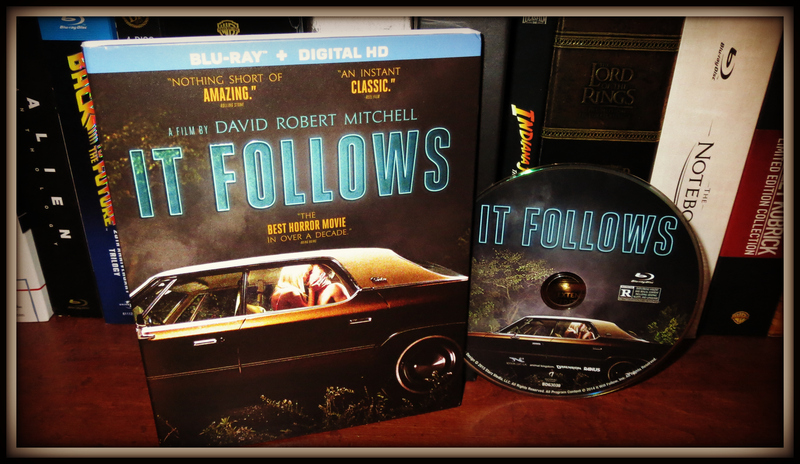 The one disappointing factor on this edition is the audio sync issue that unfortunately affects most of the film. Kino has promised fans that it’s looking into the issue, so hopefully a replacement program will be made available shortly. I’m not sure why audiences didn’t flock to see the film back in 1974, but luckily, Madhouse is still fondly remembered enough to garner a solid Blu-Ray release and comes highly recommended.